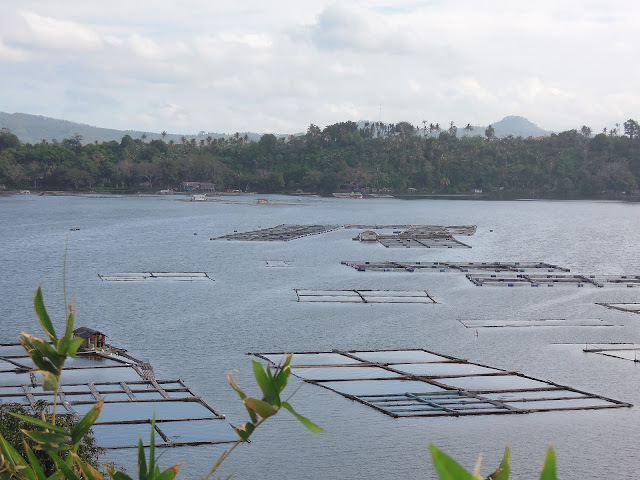 San Pablo, the first city of the Province of Laguna, is best known for its “7 Lakes”. All seven lagoons can be explored D-I-Y style in just under a day, but if you want to explore more of the place, you can stay in one of San Pablo City’s budget hotels. For a group of five eager travelers, we were able to see the crater lakes and a few nearby sites for only PHP900+ per person. [BUS FARE: PHP135.50] – The best way to reach San Pablo City from Quezon City is via Lucena/Bicol bound buses (JAC Liner in Kamias is highly recommended). The fare for a one-way trip via JAC Liner cost us PHP135.50 per person. Now, travel time will still depend on the traffic flow. But since we got on the first trip, we were able to reach San Pablo in just 3 hours. [TRICYCLE FARE: PHP10] – We advised the bus conductor to drop us off at the 7-Eleven store by the National Highway, as it’s the nearest location to the first lake. From the crossing, we rode a tricycle for a special rate of PHP30 (divided into 3 pax), which took us straight to Jollibee plaza. [BREAKFAST: PHP99] – We ordered breakfast at Jollibee while waiting for our other friends to arrive. Good thing, the famous fast-food chain offered hearty meals that were both delicious and value for money. [TRICYCLE RENT FEE: PHP140] – There are plenty of tricycles near Jollibee that can be rented for a day, should you wish to explore all of San Pablo’s seven lakes. Since we were a group of 5, we were able to rent a tricycle for just P700 (divided into 5 pax). 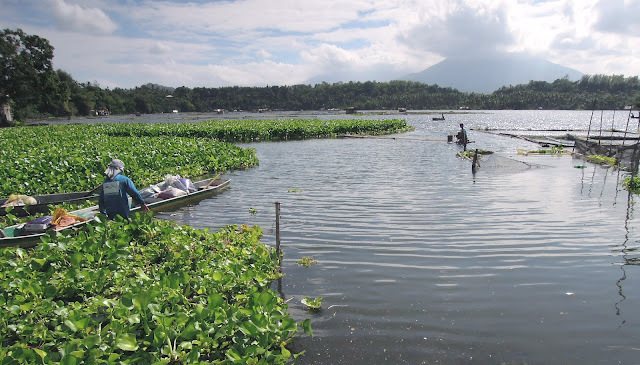 SAMPALOC LAKE – The nearest reservoir from Jollibee Plaza is Sampaloc Lake. Located near the San Pablo City Hall, Sampaloc Lake is recognized as the largest lagoon in the city. It’s also the most accessible out of all the seven reservoirs. So make sure to spend some time here, as it offers a picturesque view of Mt. Cristobal. LAKE MOHICAP – One thing that you should note when planning a day tour in San Pablo is to wear comfortable clothing. I wore a pair of jeans and sneakers during our trip, which made trekking a bit of a challenge for me. My knees felt constricted at every bend, and my feet started to form blisters, especially after going down a flight of uneven steps towards Lake Mohicap. 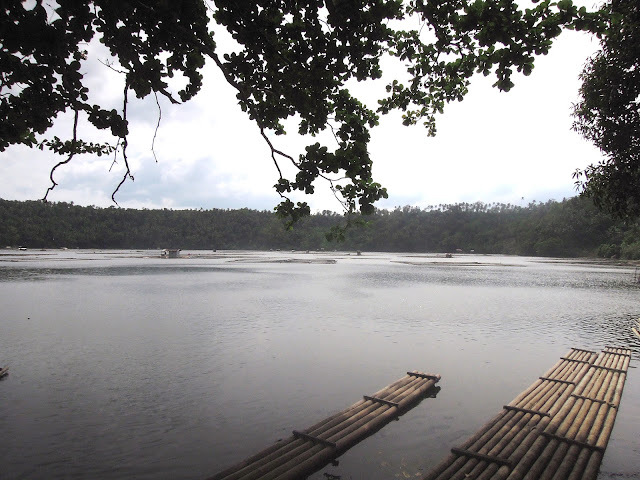 You can cruise through Lake Mohicap by renting a bamboo raft upon reaching the base. The fare per person is PHP20. LAKE PALAKPAKIN – Out of all the seven crater lakes, Lake Palakpakin definitely topped my list. Surrounded by water lilies and a view of the mountains, this lagoon offered the most gorgeous setting. PANDIN LAKE – If I were to choose a difficult trek from the entire trip (taking into consideration my choice of clothes), going to Pandin Lake would be it. Back when the road to Pandin was still being developed, my friends and I walked for thirty long minutes, under the scorching heat of the sun (this was no later than 11 AM). There weren’t many trees along the way, so we felt completely toasted. [COCONUT DRINK: PHP15] – But I enjoyed looking into the vast beauty of Pandin Lake (given its picturesque and date-worthy setting). Fortunately, there weren’t many people to compete with, in terms viewing. So we got to relax on one of the roofed bamboo rafts, while sipping our fresh coconut juice. We were no longer charged for using the raft, since we stayed on shore the entire time. 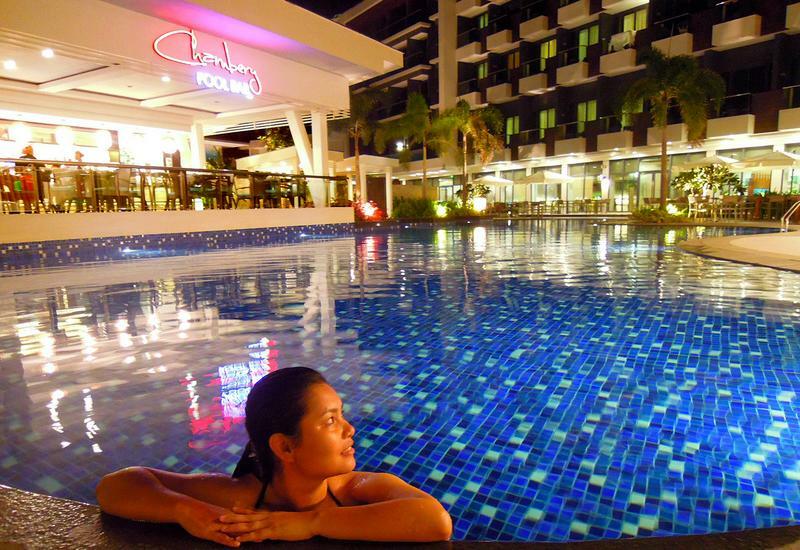 But should you wish to rent one, prepare to pay PHP180 per person. [BOTTLED WATER: P19] – We made sure to hydrate some more, so we bought a bottled water each. Should I have known that we were about to embark on another challenging hike (in my standards, at least), I would’ve bought more H2O. YAMBO LAKE – We weren’t able to see Yambo Lake closely, as it would require more time from us, especially if coming from its twin lake, Pandin (only a hill separates the two lagoons). But we were able to hike on top of a short slope to get a panoramic view of the reservoir, which was just as impressive. 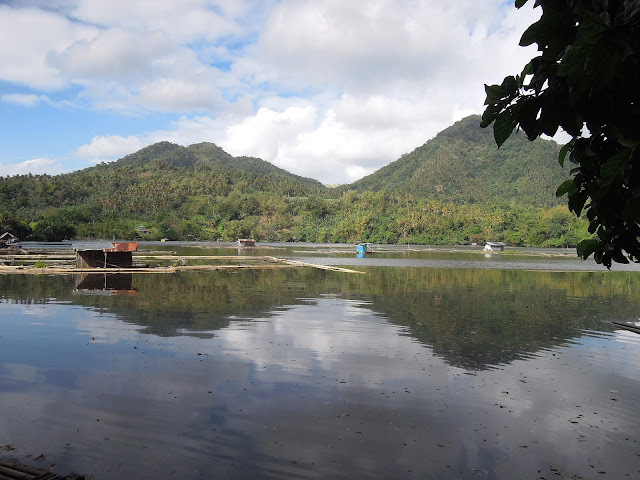 KALIBATO LAKE – Kalibato Lake is another personal favorite, given its calm waters and fish pens. The trek was a bit of a challenge. But I’ve managed to appreciate this trail more because we had to walk through a rocky stream before reaching the inland sea. The view of the lagoon from afar was enough motivation for me to keep going. 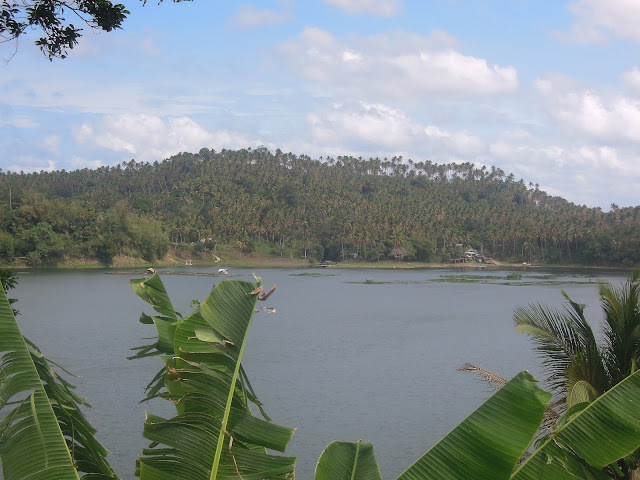 BUNOT LAKE – The last lagoon on our list was Bunot Lake. It was the least impressive for me out of all the seven crater lakes because there were a lot of dead water lilies scattered around. 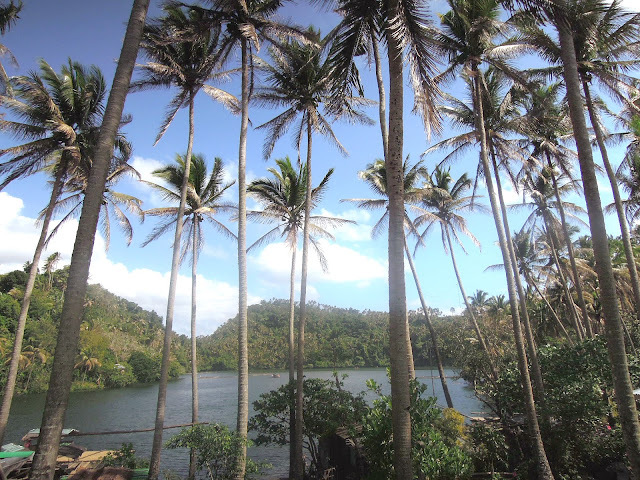 [JEEP TO LUCY AND ELSIE CUISINE: PHP8] – We’ve managed to see all seven lagoons by 1 PM. So you can imagine how thirsty and hungry we were by the time we wrapped up the tour. Good thing, our friend knew where to take us for lunch. Immediately, we hopped on a jeep (not too far from Bunot Lake) that was bound for Rizal. [LUNCH AT LUCY AND ELSIE CUISINE: PHP160] – The staff from Lucy and Elsie Cuisine offered to serve us on the second floor of the restaurant, where all the windows were opened. Only cold winds greeted us during lunch, as we ate a good spread of Filipino dishes (Fried Tilapia, Shanghai Rolls, Lomi Soup, Adobong Chicken, Rice Platter/s and 1.5 Coke). [JEEP TO NAGCARLAN UNDERGROUND CEMETERY: PHP10] – We still had a lot of time to spare, so we decided to see a few more of Laguna’s nearby towns. From Lucy and Elsie Cuisine, we hailed a jeep that was bound for Nagcarlan. We were dropped right in front of Nagcarlan’s Underground Cemetery, a well-known historical landmark. It was used before as a ‘secret meeting place’ by the Katipuneros (the only one of its kind in the Philippines). If you plan on visiting the cemetery, make sure to take a lot of pictures by the tombstones. That’s if you’re not too spooked of the place. 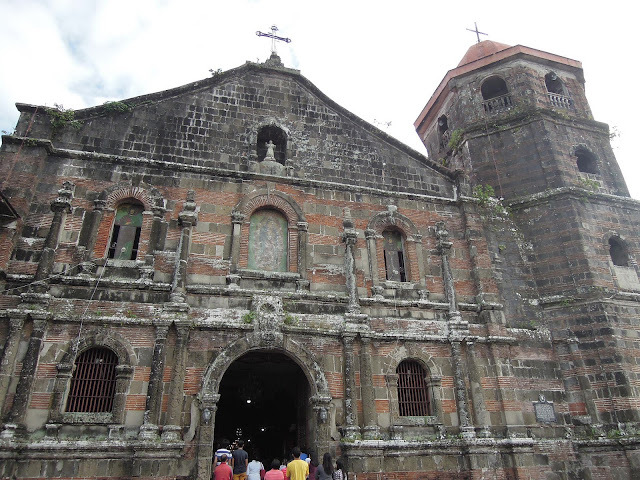 [JEEP TO SAN BARTOLOME CHURCH: PHP8] – If you enjoy looking at old religious structures, you will surely appreciate the San Bartolome Church (a Nagcarlan basilica). Its façade may already show signs of wear. But you’ll certainly find yourself fascinated with its brick and stone exterior. 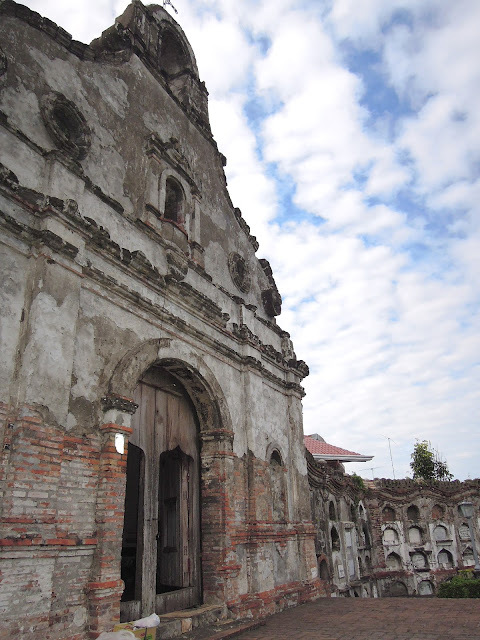 [JEEP TO SAN BARTOLOME CHURCH: PHP8] – Our last stop was Liliw, which was a short trip from Nagcarlan. 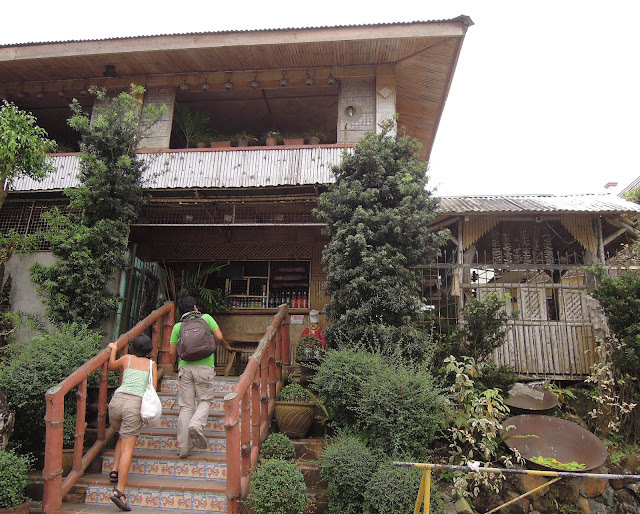 Laguna’s ‘Tsinelas Capital’ (slippers) thrives in having a large shoe industry. It is also recognized for its captivating basilica, St. John the Baptist Church, which is a Baroque-inspired structure. [AFTERNOON SNACKS AT ARABELA CAFE: PHP130] – If you’re not too iffy about dining in low-ceiling establishments, you’ll surely enjoy the art-infused interiors of Arabela. The place might feel cramped, especially when the café is filled with people. But believe me, the food is worth it! We got to try a pan of their Kesong Puti Pizza, and two slices of their bestseller cakes (Red Velvet and Blueberry Cheesecakes). For a group of 5, we only paid PHP130 each. [COMMUTE BACK TO SAN PABLO: PHP179.50] – The fare from Liliw to San Pablo was PHP29. Since there were only two of us heading back, we split the tricycle fare to two (PHP15). We just asked to be dropped off at the National Highway, where we rode a JAC Liner bus going back to Kamias (PHP135.50). The entire trip was tiring, but was definitely gratifying. Best of all, I only spent exactly PHP922 for the whole experience! *NOTE: All transportation fares were based on a 2014 trip.